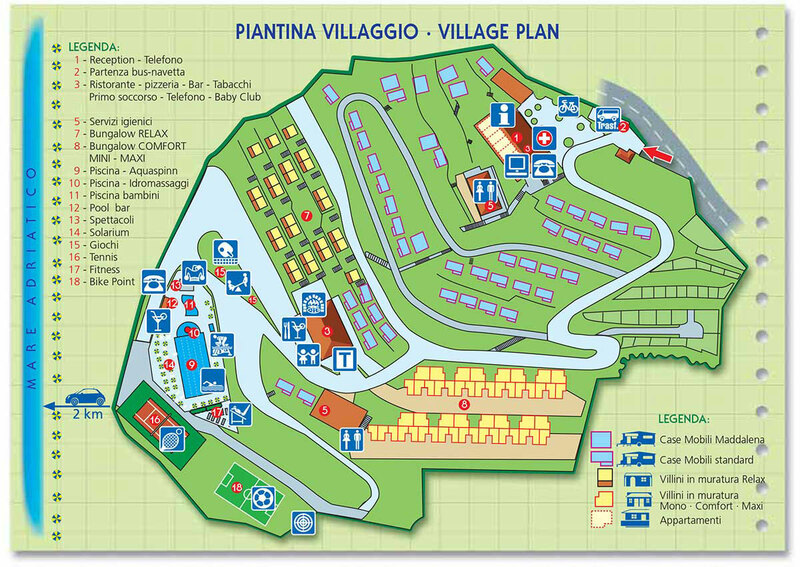 The Europe Garden Village is in Italy on the Adriatic Coast in the Abruzzo region between Silvi Marina and Silvi Paese halfway up a hill overlooking the Adriatic Sea. 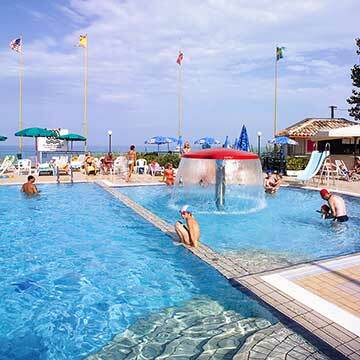 It is in C.da Vallescura, along the road that goes from the Adriatic national main road and arrives in Silvi Paese. 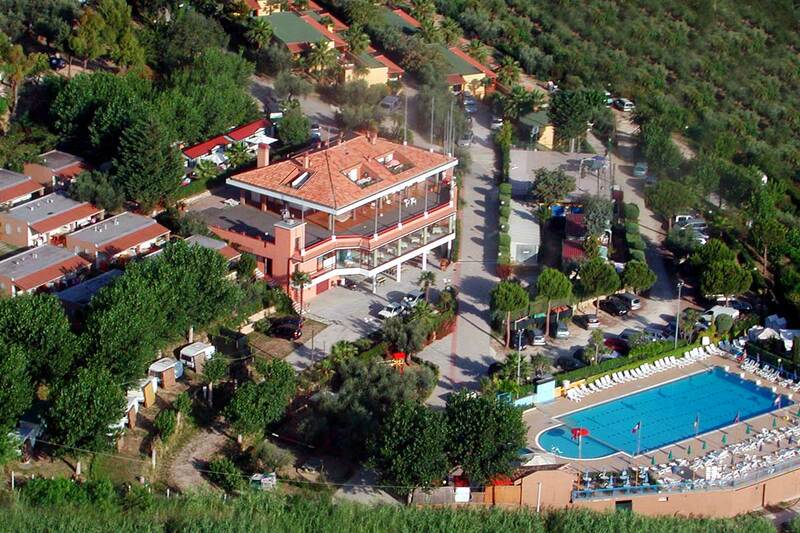 The complex is immersed in a secular olive grove on approximately 5 hectares of land. The internal services are an electronically timed security gate and a building to receive and welcome guests, reception, administration, management and a conference centre. The first construction of the village is 23 brick-built Mediterranean-style bungalows with individual Relax type small villas coupled together of the (4 persons max.) positioned towards the south east. The second construction of the village is 60 brick-built terrace–type bungalows on 4 panoramic levels facing the sea with small Mono type villas (2 persons max. ), two Comfort rooms (4/5 persons max. ), two Maxi rooms (6 persons max.) facing north with a maximum capacity of 360 persons. 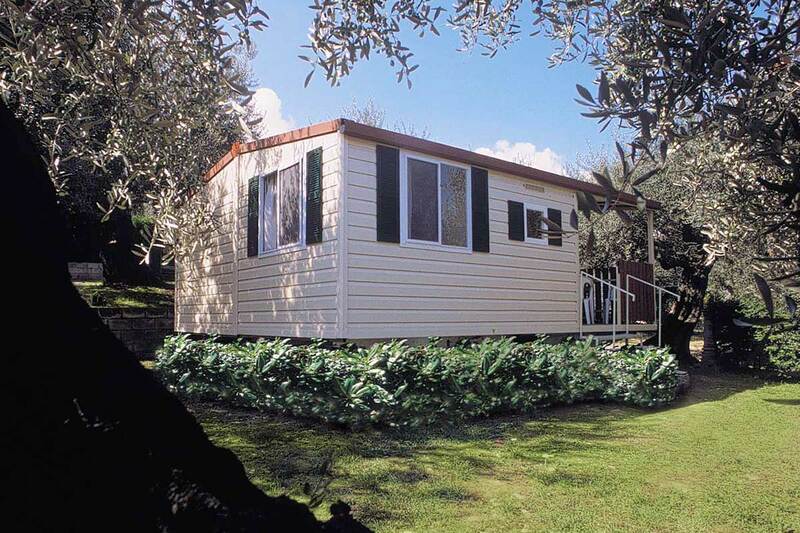 There is a vast area in the shade of the olive trees with approximately 50 plots and 47 Deluxe mobile homes that belong to the camping park (4 persons max. 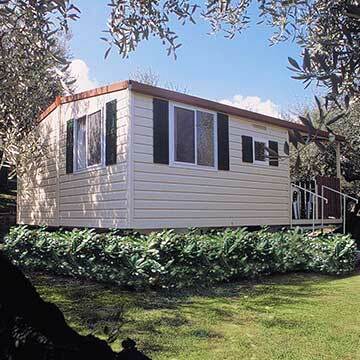 ), Superior mobile homes (5 persons max. ), Mono mobile homes (2 persons max.). There are 4 small apartments positioned on the first floor of the multi-use building at the centre of the village. There is a new residence of 30 Superior single-room apartments (3/4 persons max.) 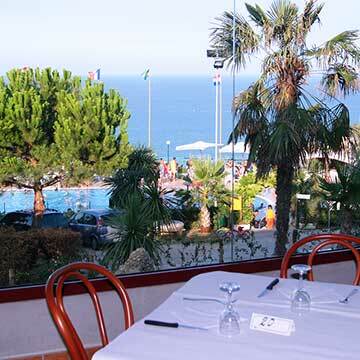 built on four panoramic levels facing the sea. 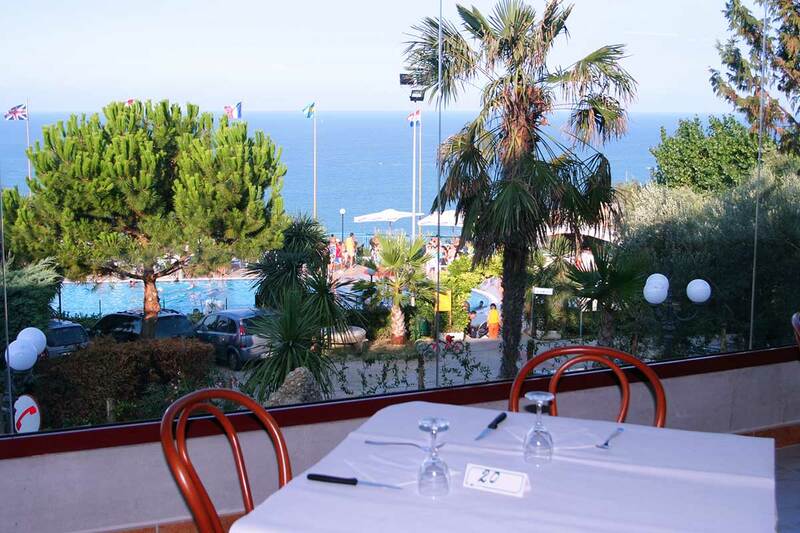 The following services complete the structure: main bar with a panoramic terrace, restaurant with a sea view and air-conditioning and a pizzeria with a brick-built oven. 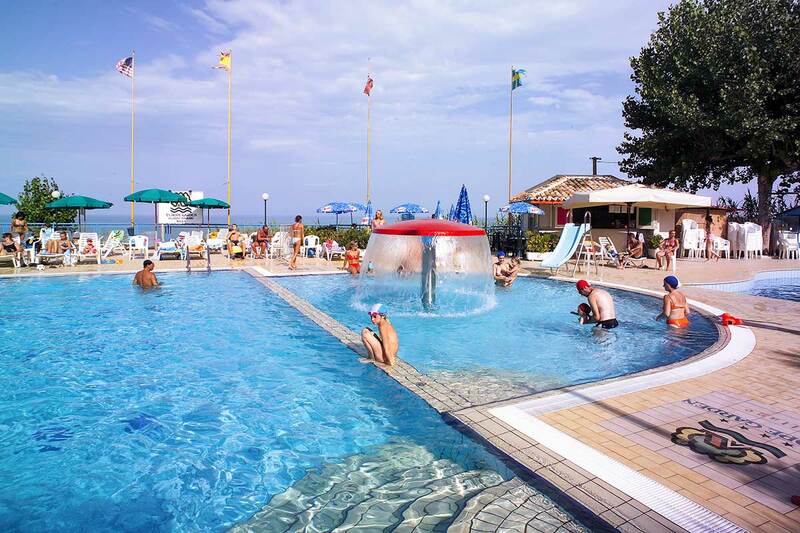 The swimming pool area includes a 25m x 12.5m semi-Olympionic swimming pool, semi-circular swimming pool with a fun mushroom and hydromassage sprays, a pool for children from 0 to 6 years old, Aquaspin, fitness and mountain bike equipment, changing rooms, showers, sunbathing area with sun beds and umbrellas. 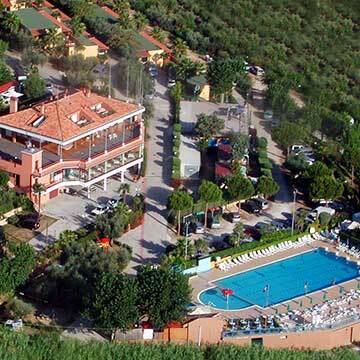 There is a pool bar with tables and umbrellas, panoramic viewpoint, small entertainment theatre, audio sound system, bowling green in the village and on the beach, tennis court and 2 x 5-a-side football fields (one with regulation synthetic grass and the other in compacted earth and both with night-time illumination). 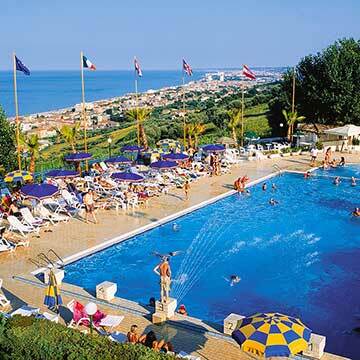 There are areas for archery, children’s games park and two table tennis tables. There is a central hygienic service that serves the area dedicated to open air tourism (camping park, camping, campers, caravans and tents) complete with hot showers, hot and cold water washbasins, area for washing crockery and linen with hot and cold water, coin-operated washing machine for linen and clothing. There is a public telephone, Wi-Fi over the whole village with approximately 80% cover of the whole area, an Internet Point and another public telephone in the management offices and a small first aid room. On the beach near the Poseidon bathing establishment are 160 sun umbrellas with deckchairs and sun beds covering an area of 80 metres of seashore for a depth of 45 metres. There is a sound system for entertainment, bar, restaurant, changing cabins with hot and cold showers, first aid/emergency equipment and rental of twin-hulled row boats and pedal boats.